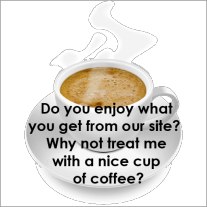 I hope you have enjoyed your visit to my site. If you have any comments, questions or (ahem!) words of encouragement I can't wait for you to contact me! Tell me what you like or what you'd love to see. It's important for me to know... that's why it's YOUR decorative painting resource! Please use the form below... and don't forget to double check that your e-mail address is correct otherwise I won't be able to reply. If you have a question about painting that you would like answered pop over to our Painting Questions Page. Return from Contact Us to our Home Page.